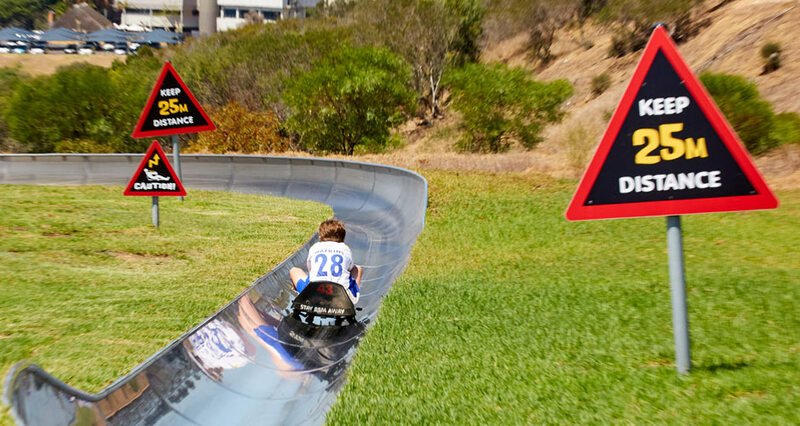 WIWGo hurtling down a half-pipe in a bobsled, flying through the twists and curves as you race along the 1.25 km track. It’s fun, it’s fast, and it’s safe! 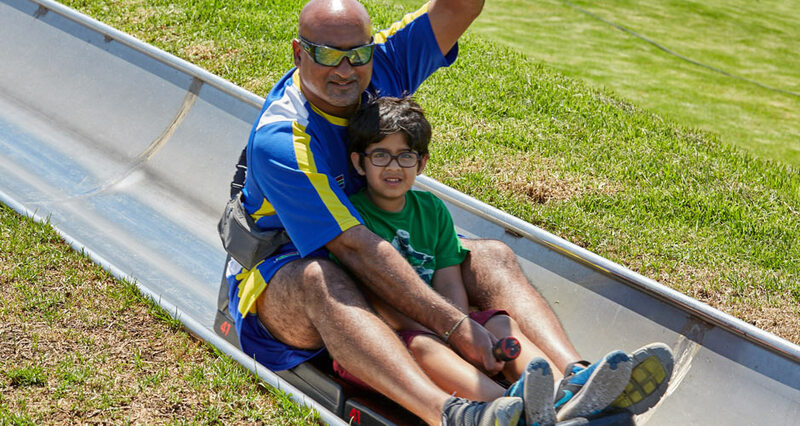 The first downhill tobogganing track in Africa, Cool Runnings is a Cape Town-based family park boasting an intricate course of steel tracks and top-notch, wheeled bobsleds. 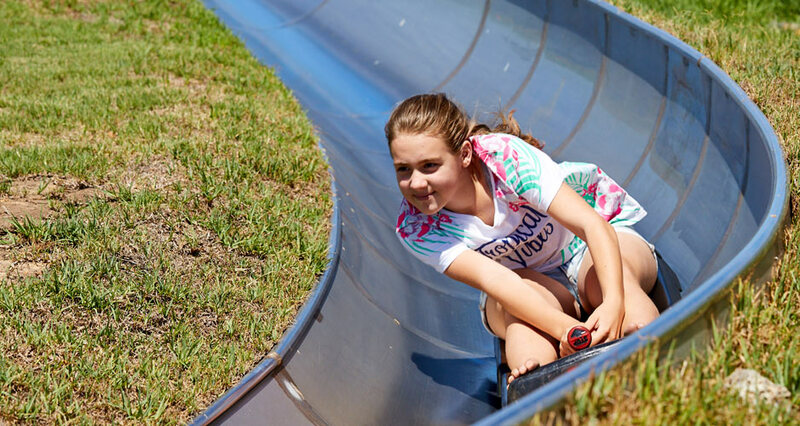 It’s fun for kids and adults, and it’s completely safe and the combination of speed and skill makes it a thrilling challenge for even the most die-hard speed freak. 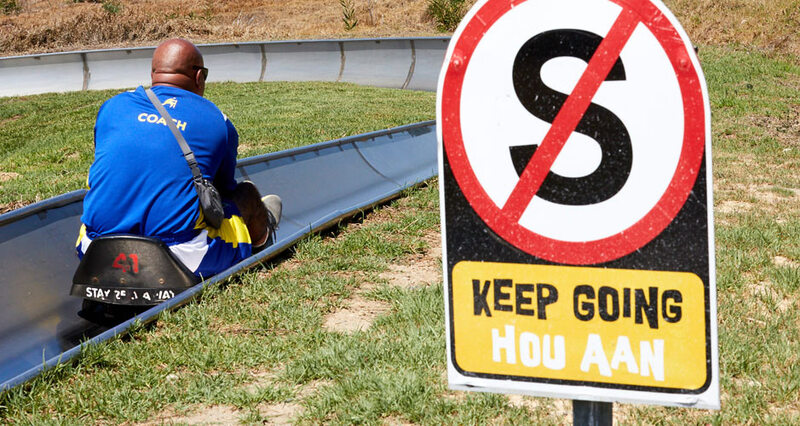 Starting at the foot Durbanville’s slopes, you settle into your toboggan and set off as the cables in the tracks haul you to the start of the course (a relief for anyone thinking they’d have to climb the hill every time!). Once at the top, it’s just you, the toboggan, the brake lever – and the spectacular view of Cape Town. Cruise through the 17 corners, S-bends and even a tunnel, before the sled automatically slows down at the bottom of the course, safe and sound. 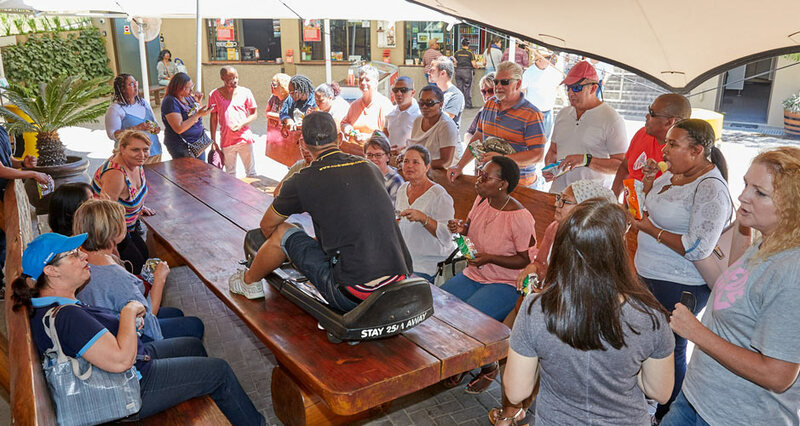 Perfect for a day out with the family, friends or colleagues, Cool Runnings is a one-stop destination, with a café serving up delicious boerie rolls, burgers and pizza, and a bar to quench your thirst. Best of all? It won’t burn a hole in your wallet! The rides start at only R50 – and the more you ride, the cheaper it gets. It’s also free entry for team-building events, school outings, and birthday and bachelor/bachelorette parties. Tickets start at only R50! You can buy tickets at the ticket office or at our online shop. Bond with your colleagues over some good ol’ fashioned competition! Cool Runnings is the perfect venue, offering thrilling fun, tons of space and a large, covered terrace that overlooks the track, perfect for mingling. 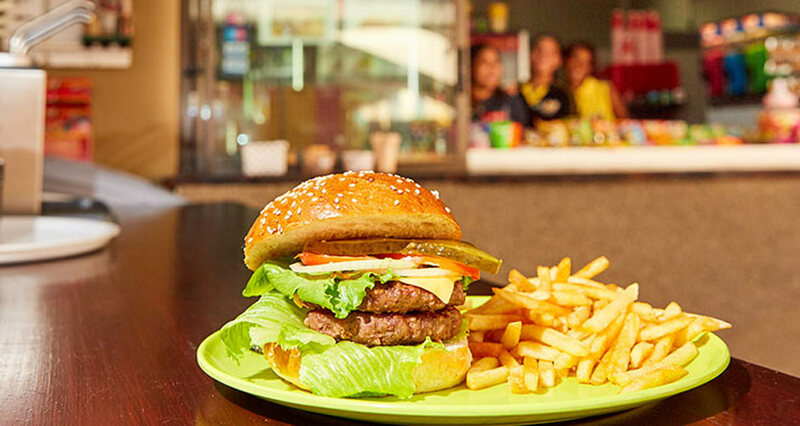 In between rides, grab a boerie roll, share a pizza or sink your teeth into a juicy burger. The tasty meals and snacks are diverse and delicious – sure to appeal to even the fussiest of palates. Prepare yourself for some delicious food and drinks. Great Quality Service and licenced bar available.  Get the latest updates and promotions delivered to your inbox.